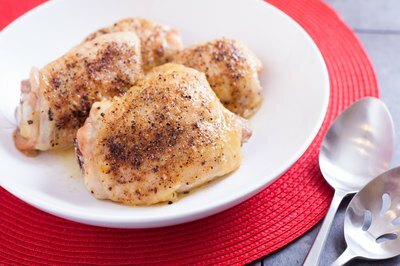 Chicken thighs are often on sale at the grocery store, providing a quick and inexpensive option for family meals. Keep the recipe simple and serve it with a salad or cooked vegetables, and a baked potato to make a balanced weeknight dinner without too much prep time. 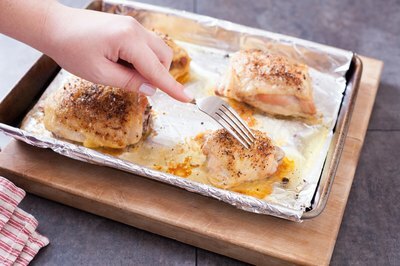 Preheat the oven to 425 F. Spritz a large, shallow baking pan with cooking spray. 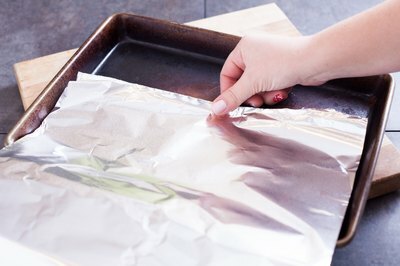 For even easier clean up, line the pan with foil before spraying. Season chicken on both sides with salt, pepper and garlic or the seasoning of your choice. Arrange the thighs on the pan, leaving an inch or more between pieces. 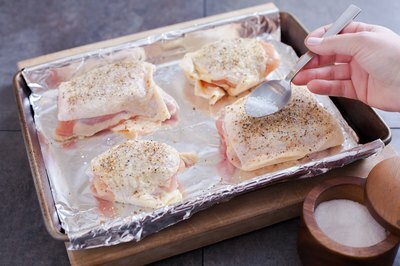 Bake the chicken 35 to 60 minutes, until fully cooked. Larger thighs will take longer. Chicken pieces should be well browned and crispy on the outside, and the juices should run clear.